1. Login to your Account to view our system map. Each dot represents a Biki Stop. 2. 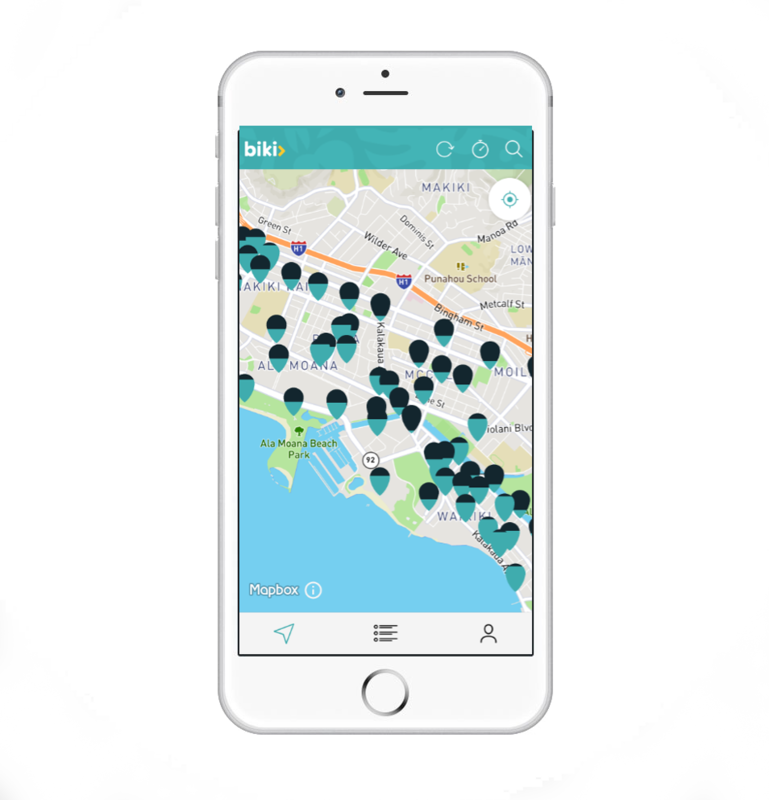 Click on any dot to see the Biki Stop name, number and the real time availability of open docks and bikes. 3. 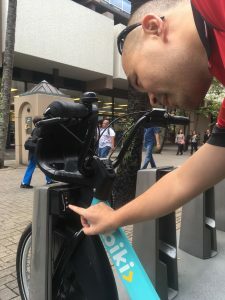 When you are by a Biki Stop and ready to ride, press the yellow unlock button on the bottom right side of the screen. 4. Click "Get release code" to generate a 5-digit code that can be used to unlock any bike at that particular Biki Stop. Codes are valid for 5-minutes and can check out one bike. 5. Go to a bike a find the 3-number key panel on the left side of the dock. 6. Type in your unique code, wait for the yellow light to turn green and remove the bike. Your ride has now begun!